Our designers travel the globe in search of trendy design aesthetics to incorporate into their designs. 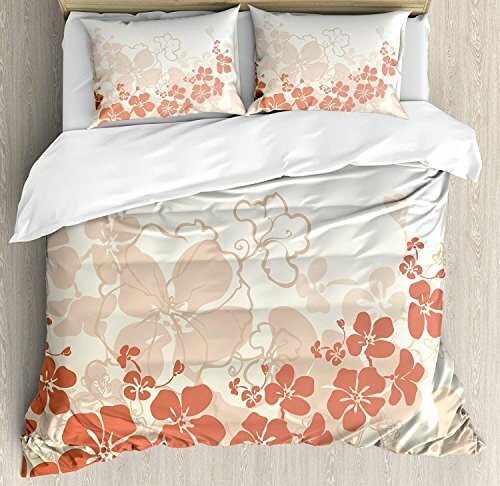 Duvet cover can protect your duvet/comforter from dust and decorate your bedroom freely as you can choose styles or pattern on your duvet cover set. Cotton duvet cover set is friendly to your skin and with no chemicals. You worth it! 4 pieces set includes 1 duvet cover,1-piece sheet and 2 pillow shams,Hidden zipper closure is more durable and reliable than button. Good Choice as a Birthday Gift or Special Holiday Gift to your loved Children, Little Baby, Kids, Girls, Teen, Good Friends, Lovers, Family.